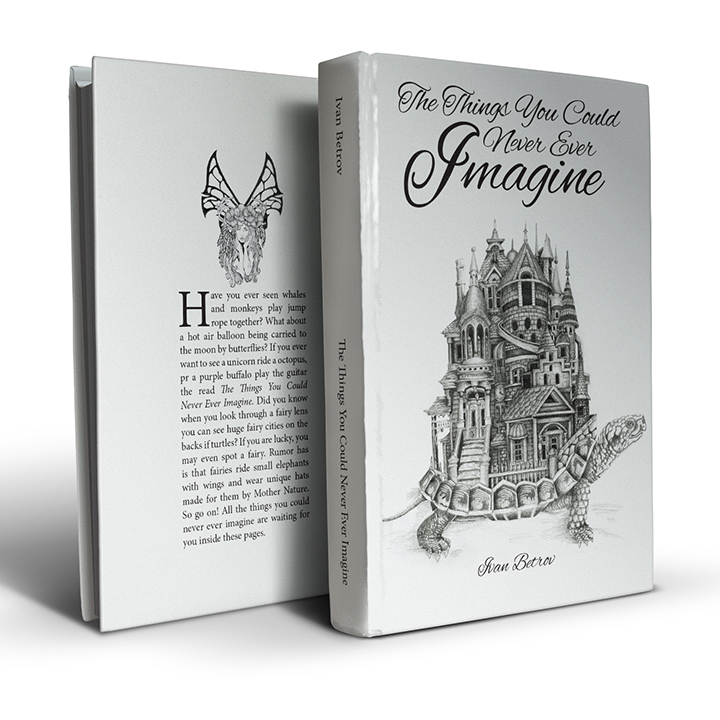 This is a book cover for a 5.5” x 8.5” book with perfect bound binding. The illustrations for this book were done in Pen and Ink. The turtle illustration is 3 feet x 3 feet. 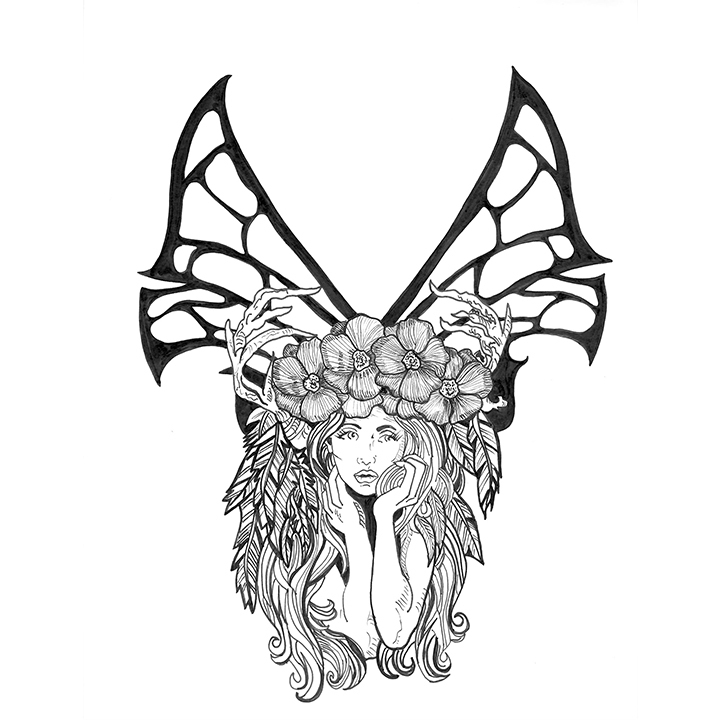 The fairy illustration is 8.5″ x 11″. The images were scanned with a large format flat bed scanner and then taken to Adobe InDesign to complete the layout of the book. The idea was to create a cover for a book that’s contents would be blank. The challenge was to create something interesting and clever to make the readers think. Being a Graphic Designer, I thrive in getting lost in my imagination and then bringing it back to use through a piece of work. While trying to think of an idea for the book cover, I realized that there is nothing a person can not imagine. So the title The Things You Could Never Ever Imagine was born. I wanted to make a very clean book cover with dramatic artwork and type. 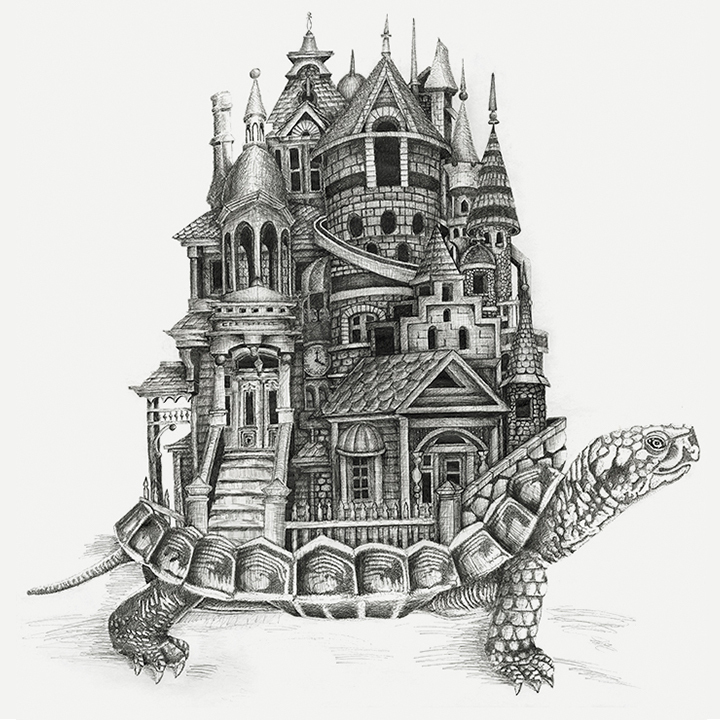 I decided on doing a turtle that carried a huge city on its back. And to take it even further, I made the city a montage of hundreds of different types of architecture. The imagination can take you anywhere with this piece. 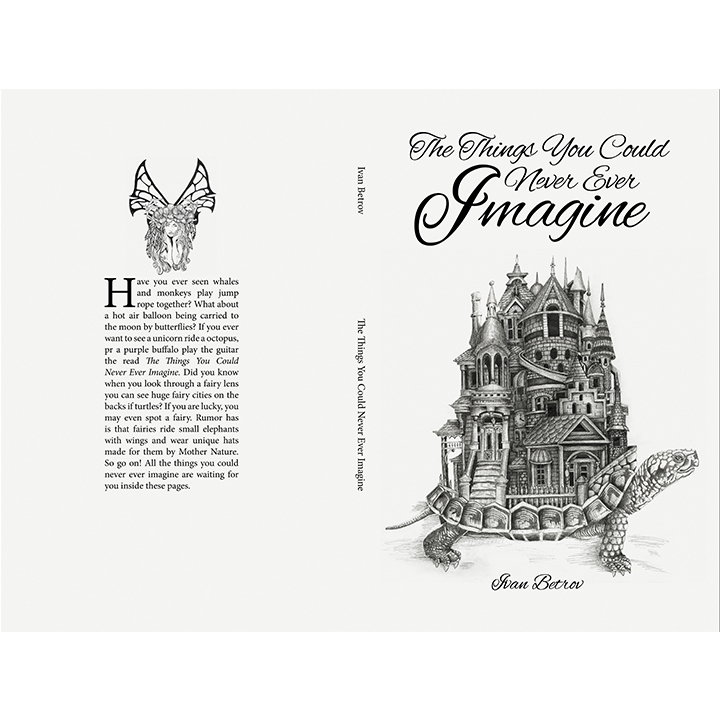 The title lets you know there is nothing you can’t imagine, therefore the book will be empty. This piece reflects the type of work that is my strength as a Graphic Designer. I enjoy pushing my imagination past my own boundaries and bringing them back to a place that I can create a piece of art work that someone can use to market and advertise themselves in a creative way.